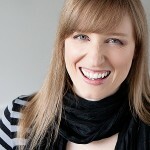 Erika Holt lives in Calgary, Alberta, where she writes and edits speculative fiction. Her stories appear in several anthologies including Shelter of Daylight Issue 6, Evolve Two: Vampire Stories of the Future Undead, Tesseracts Fifteen: A Case of Quite Curious Tales, and What Fates Impose. She is also co-editor of two anthologies from EDGE and Absolute XPress: Rigor Amortis and Broken Time Blues: Fantastic Tales in the Roaring ’20s, and an assistant editor for Nightmare Magazine. Visit her website erikaholt.com or follow her on twitter: @erikaholt.